Telecoms giant introduces a series of new initiatives. We’re all aware how expensive it is to lay on a major Pride event, which is why corporate sponsorship is both important and welcome. Can you imagine what a massive venture like Pride in London would have to charge as an entry fee without the backing of business? All of us at OutNews Global applaud those companies who embrace the LGBTQ+ community in this way. But it’s also true that some companies jump on the bandwagon, doing little more than dusting off their rainbow flag for a day, a week, or even a month, without doing very much more for their LGBTQ+ staff, their customers or the wider community. 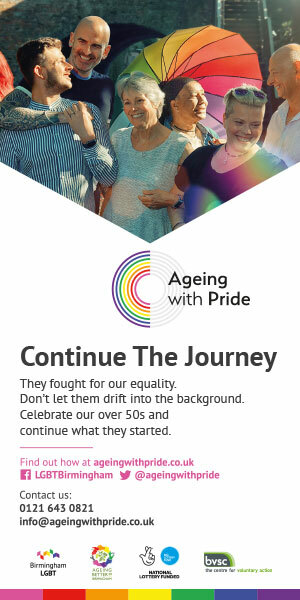 That’s why we love it when we hear of a company which not only gets involved with Pride events, but which shows genuine commitment to moving forward with progressive policies that make a real difference. Step forward Vodafone, who have announced a series of trans-inclusive initiatives, as part of the company’s commitment to improving the lives of employees and customers. The announcement comes ahead of Vodafone’s sponsorship of Brighton Pride this weekend, part of Pride events throughout the country which the company supports. Vodafone’s ‘Name Change’ process has been simplified and there is no need for a customer to visit a store or speak to a customer agent to do this. Instead it can be by post; it simply requires one form to be completed with proof of the name change. This is intended to remove anxiety which may arise from the need to speak to someone. If you’re trans, are with Vodafone and need to change your name, full details can be accessed here. A new ‘life events’ section has been added to Vodafone’s customer website to provide easier access to information on the ‘Name Change’ process. Vodafone has also made it easier to search and find relevant information. For Pay Monthly customers, 24 months of bills will now be accessible, which can be used to support applications for a Gender Recognition Certificate. A specialist team has been established to respond to ‘living as me’ requests, available here. Customers can also adopt the gender-neutral Mx prefix via our live chat, voice and retail channels. Vodafone is a proud supporter of lesbian, bi, gay and trans communities and recognises that there are key moments when colleagues and customers may need additional support. Trans and non-binary people felt it was a battle dealing with large organisations. They felt they needed to ‘come out’ every time they engaged a customer service team. The name change process caused anxiety, was prone to errors and felt unfair when compared to the experience of other groups. Contact centre agents and in store advisors were quick to make judgements based on appearance and by sound of voice. Gendered selections were exclusive and did not reflect all identities. New biometric processes could be inflexible and proved a challenge for those transitioning. 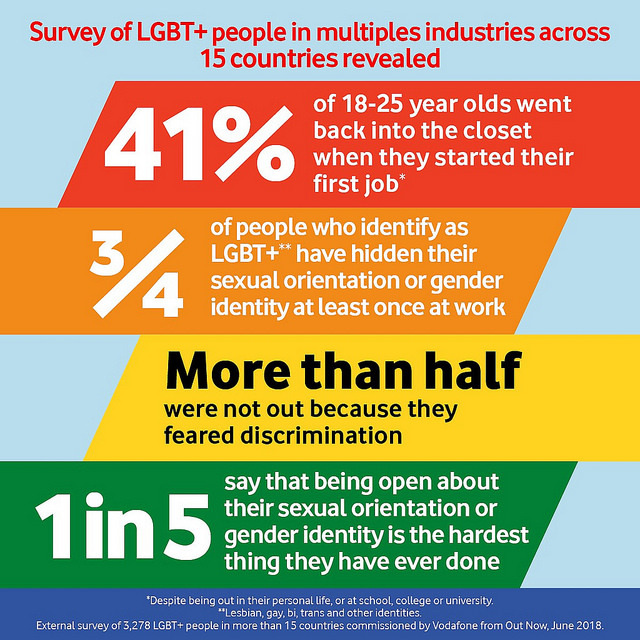 In July 2018, the UK Government published results from a national LGBT+ survey which saw more than 108,000 LGBT+ people take part and provide insight into LGBT+ life across the UK. Check out this short film from Vodafone. We’re not ashamed to admit that we shed a tear. Earlier this year, Vodafone launched an LGBT+ Retail Ambassador programme to train and support in-store employees with LGBT+ topics and new Ambassadors received training from Stonewall in May this year. This has led to the rainbow symbol being incorporated into name badges and more than 100 retail stores have come out to support local pride events up and down the country. This complements existing training initiatives such as the Vodafone Way of Care that incorporates LGBT+ scenarios into our front line training. The company has introduced a customer reporting process that now tracks negative experiences LGBT+ customers may have experienced. This will enable Vodafone to get faster feedback from LGBT+ customers on where change is needed to improve how we support customers. 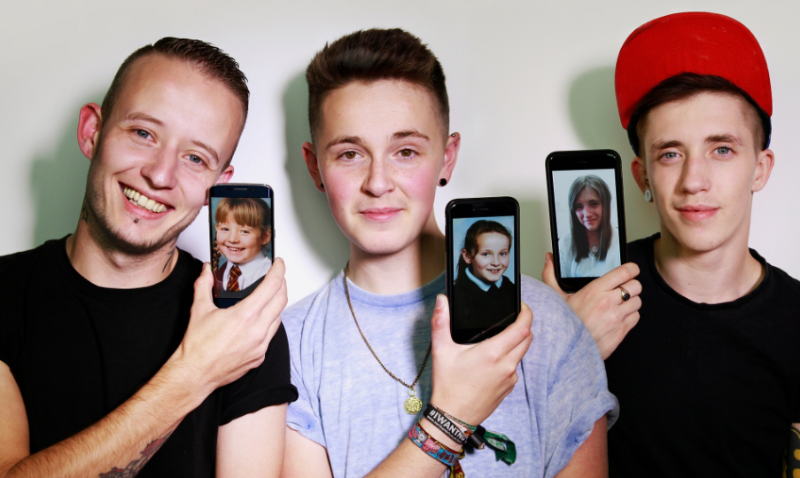 These customer initiatives build on work Vodafone is already doing to support colleagues, which this year has included launching a “Friends of LGBT” accreditation programme and a series of initiatives to support young LGBT+ people when they start their first job. This includes offering all new graduates an LGBT+ buddy and supporting 400 graduates through inclusive leadership training.